I am a 34 year old male from Dresden, Germany. 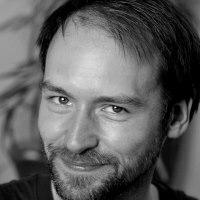 I graduated in Media and Computer Science at the Technical University of Dresden in 2007 and worked on various professional projects since then. My main interests are tinkering around with code and design, reading books for fun and interesting new ideas, producing and listening to music, hanging out with friends, travelling, and doing some sports (kettlebells, bwe, and running). Philosophically speaking, the things that influence me the most are minimalism, stoicism, and everything associated with non-duality. Throw in some keen interest in vegetarian living and sustainable lifestyle concepts and you will have a pretty good idea what I like and dislike. Oh, and don't forget that good ol' entrepreneurship stuff: Interesting business models and their application keep me up at night. My main project at the moment is feelyoursound.com - an independent software business that helps musicians to do what they love by providing new tools to them.